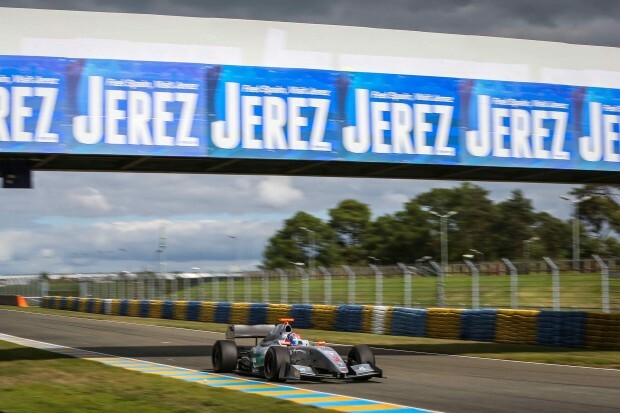 The final round of the 2015 Formula Renault 3.5 Series takes place this weekend in Jerez and leading Malaysian driver, Jazeman Jaafar, heads off to the Spanish circuit for the last two races of the season. After fifteen races in the Formula Renault 3.5 Series Jazeman is lying eighth in the championship with four podium finishes and his first series victory in Monaco earlier in the year. The Jerez circuit is a track that Jazeman has raced on regularly in his career. The venue was used for first of the two pre—season tests where the Malaysian driver was fourth quickest on the first day and fifth fastest on the second day. The PETRONAS Talent Development Programme driver is keen to finish the season on a high and says of the weekend ahead, “I didn’t have the best of weekends in Le Mans a few weeks ago so I’m really determined to get back at the top of the leaderboard where I belong. I know I have the capabilities and the car to do the job, so I’ll be focusing all my efforts on bringing everything together and putting in the best performance possible in Jerez. “It’s been a roller coaster of a season,” adds Jazeman. “I’ve had the ultimate high of winning in Monaco but a few low points when technical issues and small mistakes have hurt me. The battle for fourth place, which is a realistic goal for me, is very tight, with four drivers, including myself, within eight points. There’s also an outside chance of third place, so there is plenty to play for in these last two races. I need everything to come together and be on top form. I am as ready as I can be and will be racing to win in every session on track”. The final race weekend starts on Friday with two practice sessions, continues on Saturday with qualifying for race 1 in the morning and the 40-minute race in the afternoon. The final day on Sunday features qualifying for the second race in the morning and the last race of the season in the afternoon. The races will be shown live on Eurosport International, check local listings for details.